This article is about configuring surcharges and discounts for customers. 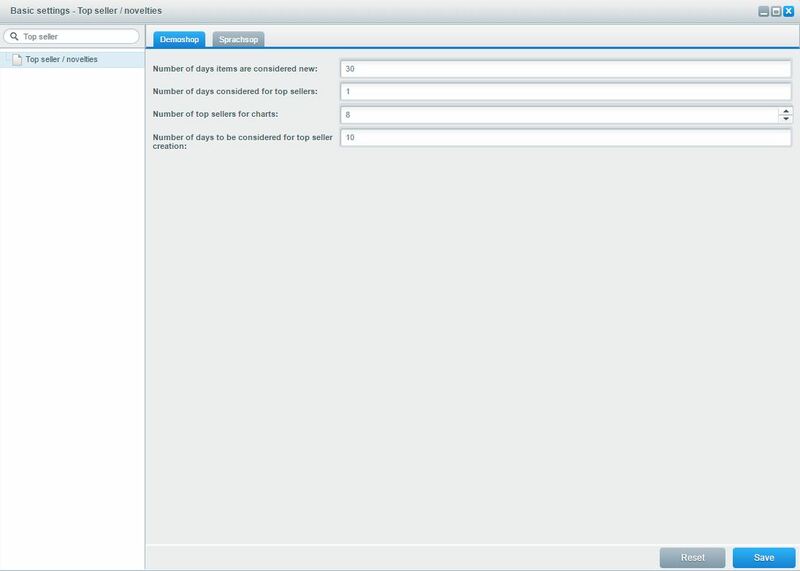 It also describes how to configure topsellers and novelties in Shopware. In the configuration at configuration > basic settings > frontend > Discounts / surcharges you can name and edit discounts or surcharges. E.g. you can change the names that will be used in the frontend or documents afterwards. Order number for discounts: Designated discounts also receive an order number to handle for use E.g. via external ERP`s. The desired order number for the item position can be defined here. Order number for shortages: Shortages also receive an order number to handle for use E.g. via external ERP`s. The desired order number for the item position can be defined here. Surcharge On Payment Method: Item number for payment type surcharges. Order number for deduction dispatch rule: Item number for shipping rule discount shown in the basket. Widely sold items can be listed together as top sellers. In the configuration at Configuration > basic settings > Frontend > Top seller / novelties you can customize the period for which an item can be considered a top seller and the amount of viewable top sellers. This setting can be disabled in Cache settings. Items are novelties for (days): This is where you set the length of time that an item is listed as a novelty. For example: if you enter 30 here, the item will be displayed as a novelty for 30 days. Items are top sellers (quantity of sells): Here you can set the order quantity an article have to reach to be a top seller. Quantity of top sellers displayed: Here you can set the number of items displayed in the top sellers graphic. For example: If you enter 10, the 10 top-selling items are displayed. Calculate top sellers from previous (days): Top sellers will be calculated based on sales from the previous number of days entered here. 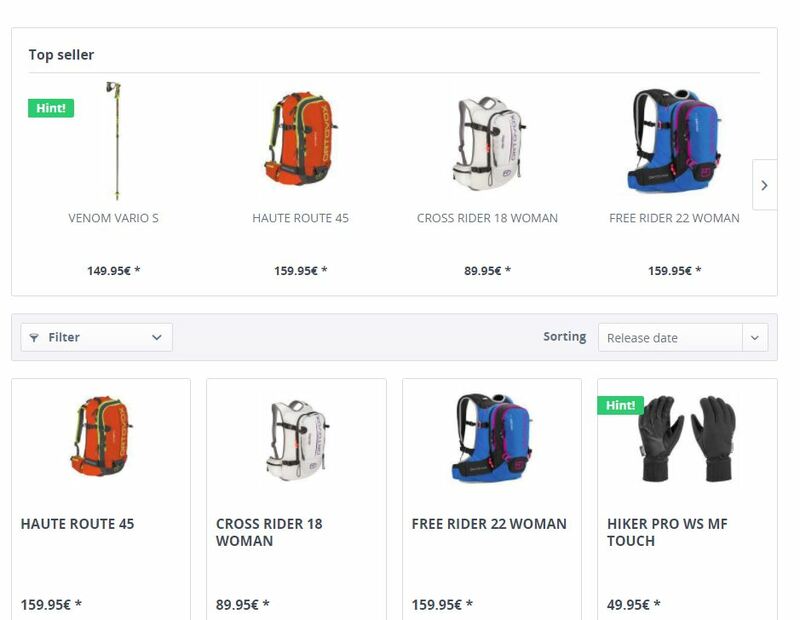 If the number of top sellers is set at fewer than 3, items from the same category will be selected at random to reach the quantity specified above.